In the mood to wait for 2010? Adam Duritz: NOT coming to a venue near you. Looking forward to the Loudoun Summer Music Fest? Not so fast there, Happy. The Casey Group, a sponsor of this year's event, sent out an e-mail Tuesday announcing the cancellation. "Sadly, these difficult economic times have forced us to postpone this fun and important festival and we plan on regrouping, reorganizing and hitting the ground hard in 2010 with a great lineup of shows," wrote Tracey Parent, president of The Loudoun Foundation and the summer festival. 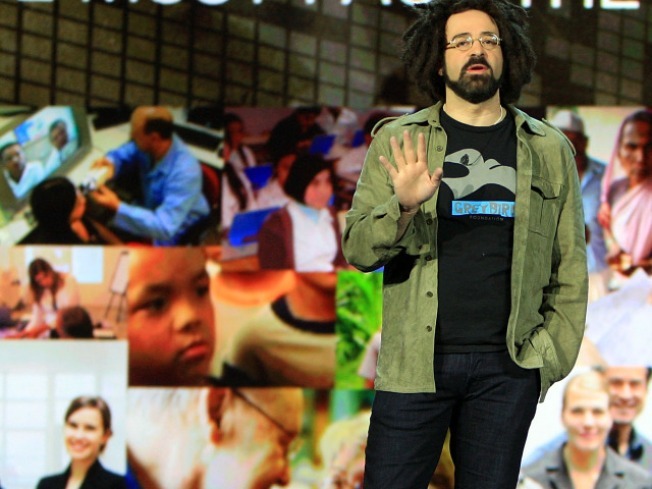 Adam Duritz and David Immergluck of Counting Crows had been scheduled to perform, among others. Tickets were selling for $30; organizers will give refunds to those who'd already purchased them. The festival, also known as the Danny Federici Festival, was named for the keyboardist from Bruce Springsteen's E Street Band, who died of melanoma last year. The event was geared to raise cancer awareness and money for local charities. The recession's done a lot of bad things lately, but now it's trumped raising money for cancer, too? What a downer.